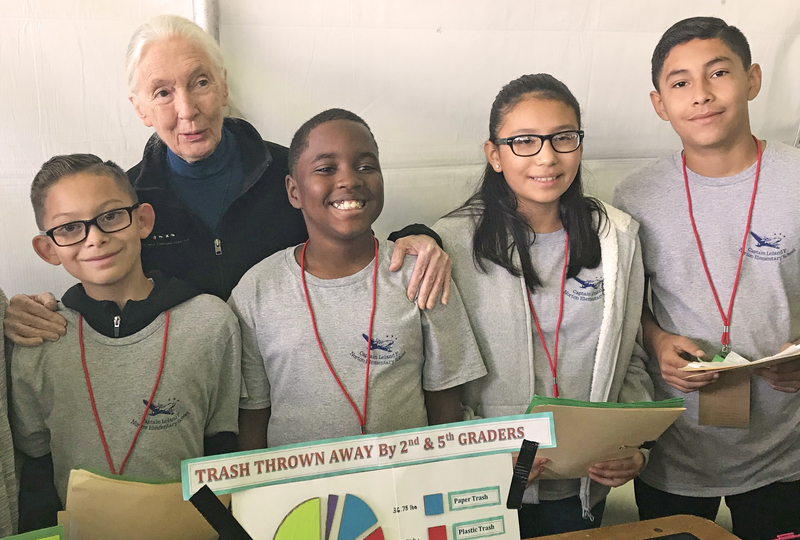 One of the most powerful aspects of the Jane Goodall Institute’s Roots & Shoots is that it is a movement of young people from all over working toward the same goal of a better world for people, other animals and the environment. When faced with a challenge and creating a project on your own, it is easy to forget that you are supported by a whole community of fellow change-makers. Roots & Shoots is committed to giving members the tools and resources they need to enact positive change. Here are some exciting resources that you can use to make the world better for people, other animals and the environment. An amazing addition to Oculus Go and Gear VR is the Breaking Boundaries in Sciencevirtual reality experience! This interactive game transports you into the lives of three unbelievable women who have made groundbreaking scientific contributions, including our very own Dr. Jane Goodall. Follow Dr. Jane’s journey through the original early 1960s basecamp in Gombe, Tanzania, where she made her discoveries concerning chimpanzee behavior. After experiencing where it all started, virtually journey to the JGI HQ research center and witness Jane’s legacy and the powerful work that JGI and R&S does today. This virtual experience is a great way to inspire minds and reconnect to the ‘roots’ of Roots & Shoots. One of the hallmark steps in the Roots & Shoots 4-Step Formula is community mapping! Community mapping is essential to figuring out what features, resources and areas that need help in your community. This activity can help you better understand where you live and find new ways to address community needs and make the world better for people, animals and the environment. Whether you use paper and crayons or a computer map, community mapping is all about becoming familiar with what surrounds you daily. Check out this blog that gives great tips about community mapping! As part of Roots & Shoots, we are always thinking about ways to make our lives more sustainable and reduce harm to people, other animals and the environment. This means examining the various products and habits in our life and evaluating their environmental, animal and human impact. One easy way to do this is to research some products that you use daily. Look into the impact of the ingredients used and look into the general practices of the companies. Many companies today are taking out potentially harmful ingredients and committing to specific environmental sustainability and humane standards. By supporting these companies, we can push other companies to do the same. 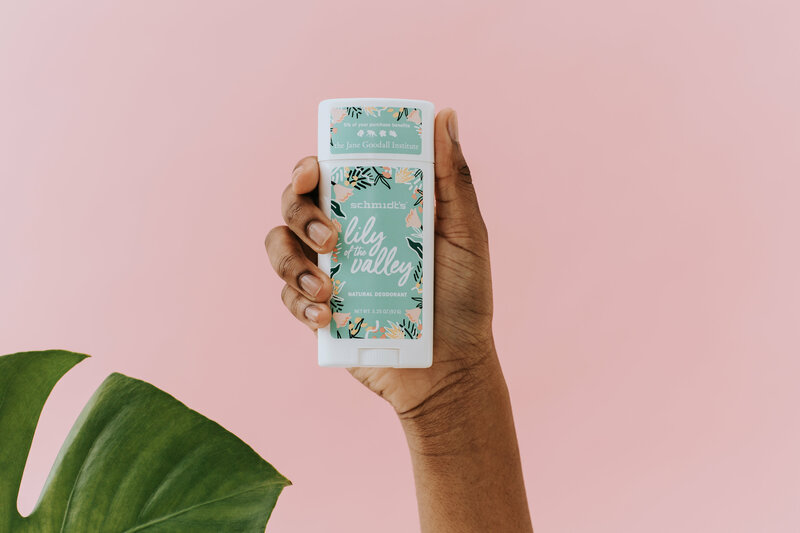 Check out this exciting partnership between JGI and Schmidt’s Naturals, and buy your very own Lily of the Valley (one of Dr. Goodall’s favorite scents) deodorant which will include a donation to JGI! AND don’t miss out on all the goodies on the Jane Goodall Institute’s eStore! From notebooks, Jane’s books, to hats and tees, you’ll look good and do good, too. Join the NYLC! The Roots & Shoots National Youth Leadership Council is your chance to shine as a mover, shaker, maker, and changer toward progress for our world. Applications are being accepted until November 18th, and its a great opportunity to connect with other incredible youth across the country, get valuable interfacing with JGI staff and other exclusive access! Click here to apply! Roots & Shoots is already an unbelievable force of change, and it continues to grow with more and more young people deciding to make a positive difference in their communities all the time. Hopefully, these resources can help you achieve your own goals. Extra Good For All Goodie: Want to use your voice to make a difference right now? Take this Community Action Survey! This will help JGI learn more about what resources Roots & Shoots members need, so that JGI can provide you with the right tools to make even bigger positive impact! Yanni is a member of JGI's Roots & Shoots U.S. National Youth Leadership Council (NYLC). As a member of the NYLC, Yanni acts as a youth voice and works to make a positive change in his community — for people, animals and the environment. While studying Environmental Science at Northeastern University in Boston, MA, Yanni is also a leader in his school's environmental education club, and he works with Speak for the Trees Boston to advocate for the city’s urban canopy. In his free time, Yanni enjoys playing with his dog, Kimi, a Cavalier King Charles Spaniel.